Eurocom provides a full line of Mobile Workstations to provide customers with the exact system that meets their requirements, while further configurability and upgradeability allows professionals to choose the exact components and configuration they need for their demanding work. All of Eurocom Mobile Workstations are built with high quality mechanical designs and enterprise grade components. During internal shock testing, to prove the quality of the system, our Mobile Workstations were administered shock and a series of vibration tests without failing a single judgment standard and being fully operational with no damage. Eurocom Mobile Workstations range in price from $934 to over $5000 due to their upgradeability and ability to support professional grade, high performance technology. Eurocom offers VGA graphics upgradeability through modular MXM 3.0b technology from NVIDIA Quadro K5100M (8 GB) to K1100M (2 GB) so users can choose the professional graphics performance they require to super charge and mobilize their workflow. Eurocom integrates NVIDIA Quadro professional graphics into our professional class notebooks because they adhere to higher quality and reliability standards. NVIDIA Quadro GPUs are designed and built to provide leading performance, reliability, compatibility and stability with applications like Adobe Creative Suite, Autodesk 3DS Max, Autodesk Autocad, Autodesk Inventor, Avid Media Composer, Dassault Catia, Dassault Solidworks, Siemens X, ANSYS, MATLAB, Dassault Simulia, among many Computer-aided Design (CAD), Computer-aided Manufacturing (CAM) and Computer-aided Engineering (CAE) software. When it is time to view your final rendered design, model or video, Eurocom Mobile Workstations offer 15.6” to 17.3” matte or glossy displays with high Gamut and contrast to provide the ultimate in image quality. Eurocom also offers professional display calibration so users can have perfectly true to life colours right out of the box. Eurocom Mobile Workstations are able to run high end professional applications and process large amounts of data with up to 32 GB DDR3-1600 memory. Engineers who are on the Go require large amounts of storage to ensure they have all the data they need while they are away from the office. 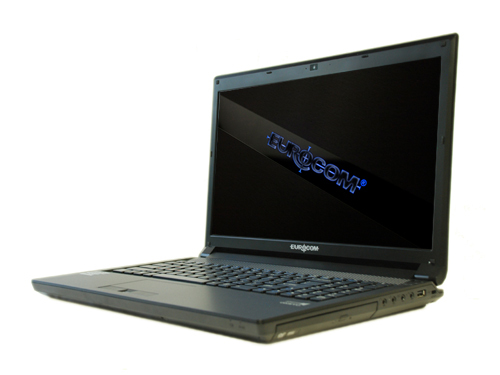 The EUROCOM Panther 5 supports up to 8 TB of RAIDable storage through 4 standard storage drive bays. Conversely, the more mobile Racer 3W utilizes mSATA SSD drives are to keep weight down and storage capacity high. For Engineers on the Go who are being deployed into the field, having a system that doesn’t weigh them down is extremely important. For Engineers who do most of their work behind a desk it is important they have a system that is highly capable, combined with a large display so there is no need for a costly external display. This is precisely why Eurocom offers lightweight 15.6” systems, such as the Racer 3W as well as highly capable 17.3” systems such as the Panther 5 or X8, which are designed to replace desktop workstations. The 15.6” Racer 3W Mobile Workstation is designed for professionals who frequently travel and need capable hardware to fulfill their professional commitments. With a weight of only 3 KG the EUROCOM Racer 3W is perfect for engineers, designers and professionals of all kinds that are required to travel to and from customer or work sites. “The EUROCM Racer 3W is the ultimate choice for professionals who require a powerful capable workstation on the go. It is designed for heavy duty engineering work while being lightweight and very mobile. The EUROCOM X8 and Panther 5 are completely different beasts altogether, the Panther 5 supports desktop Intel Xeon and Intel Core i7 processors, 8TB storage and is designed to replace your desktop workstation while offering mobility and convenience. The X8 is an interesting Mobile Workstation due to a few of its unique features such as its Thunderbolt port, which provides unprecedented expansion capabilities, extensive upgrade potential” Mark Bialic, Eurocom President.